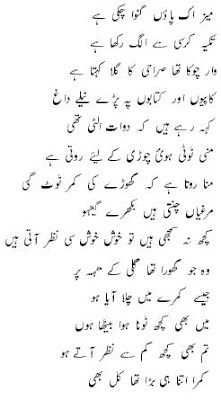 The poem titled 'Jang ke Baad' is not about the war that is fought in the battlefields. It's about the arugments and the domestic quarrells--between siblings or between the husband and wife. Such quarrels are not necessarily nasty and can have a cute nostalgic appeal. The verse describes a post-altercation scene and the mood in the house after this 'jang'.